In 1896, T.C. 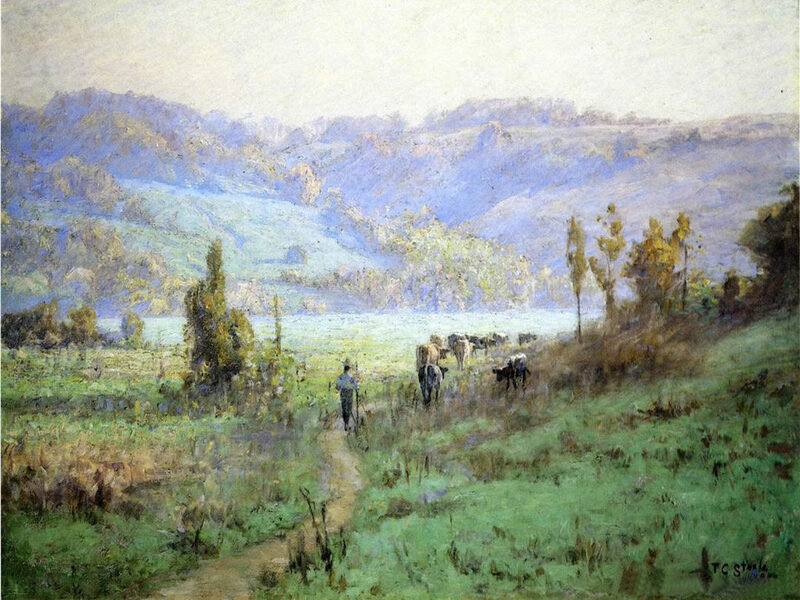 Steele and J. Ottis Adams began annual summer visits to the Whitewater River Valley in Franklin County, seeking opportunities to paint. 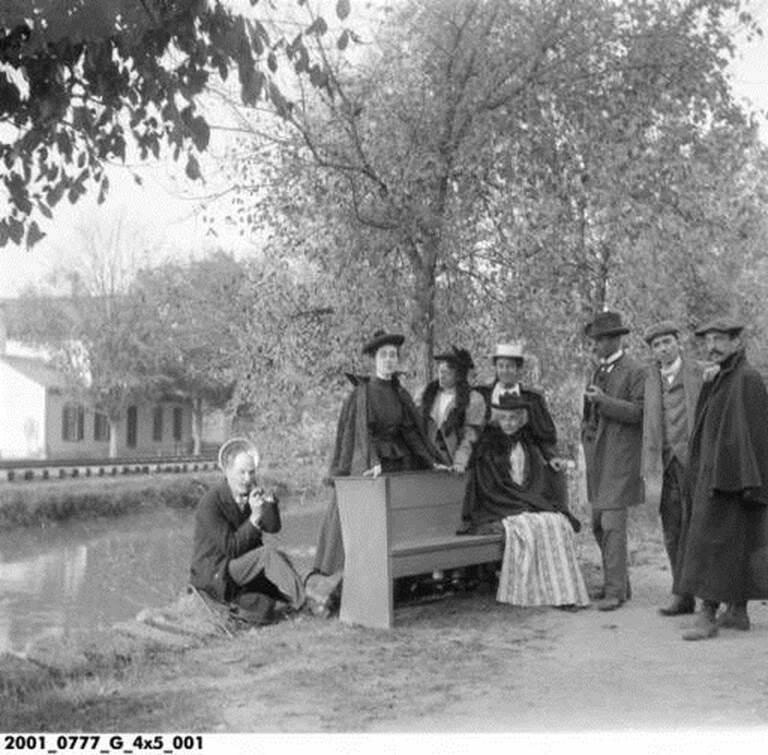 The duo first rented a home in Metamora along the Whitewater Canal. That same year, Steele commissioned the building of a studio wagon, which he used to travel around and paint the countryside. Two years later, in 1898, Steele and Adams purchased the Brookville mansion they named The Hermitage. 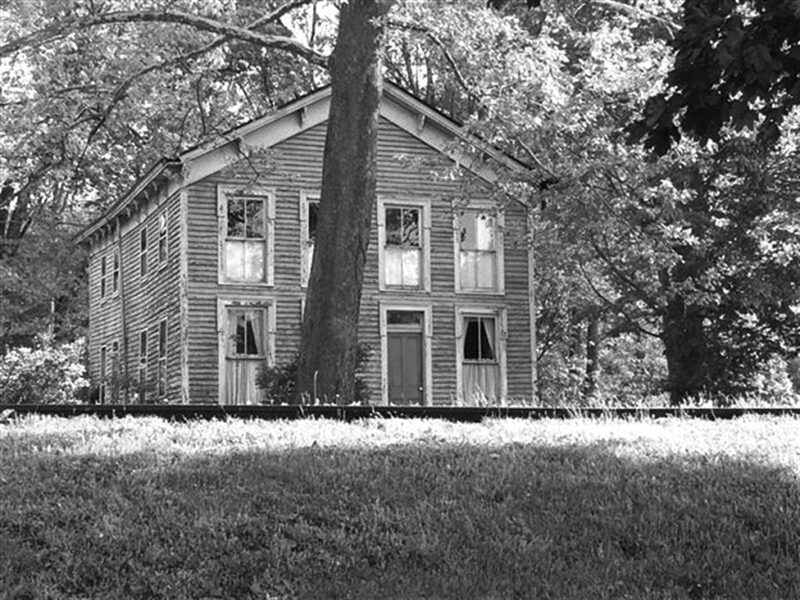 Located on the outskirts of Brookville just west of the Whitewater River, The Hermitage became the seasonal home for the two families until Steele sold his interest to Adams in 1907, following the death of his first wife, Libbie. Originally built in 1835, Steele and Adams reconfigured The Hermitage to meet their artistic demands and family needs, adding studio space and a large front porch. The restyled bungalow/ American craftsman structure rises 1 ½ stories, fronted by the full-width, 112 foot-long porch, supported by 17 tapered columns, and is little changed since Adams and Steele’s time there. In 2004, The Hermitage was listed on the National Register of Historic Places. Now operated as The Hermitage Bed & Breakfast, the home sits on the edge of the Brookville Historic District, adjacent to the town park, and is available for guests throughout the year. The Hermitage’s current owner/innkeeper, Martha Shea, goes to great lengths to retain an authentic period atmosphere, including antique furnishings, original artwork, and decorative architectural elements. 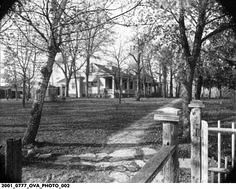 The Hermitage” is a historic home in Brookville, Indiana purchased by “Hoosier Group” painters J. Ottis Adams and T.C. Steele in 1898. Innkeeper Shea has a painting of The Hermitage and a pencil drawing by T.C. Steele. The Inn also has a stained and leaded glass door designed by Steele’s son Brandt, which was placed in the home in 1898 to separate the living room from Steele’s studio. The Hermitage is a short, 10 minute drive east of Metamora, an 1838 canal town that now functions as a popular tourist destination. Before purchasing The Hermitage, Steele and Adams actively painted in Metamora area for two summer and fall seasons, capturing landscape and river scenes. The Metamora home rented by Steele and Adams is located on the far east end of Lovers Lane.